Lime requirements can vary considerably within fields, especially on glacial till soils. 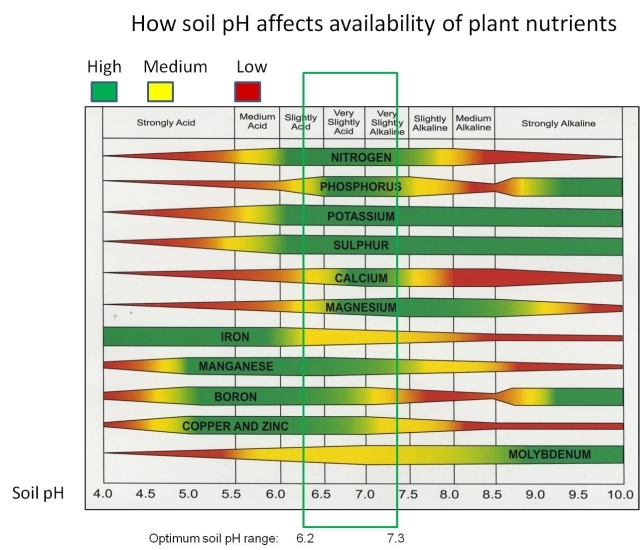 Soil type, landscape position, and depth to carbonates can greatly affect soil pH and lime requirement; therefore, soil testing to determine pH levels and lime requirement and variable rate application is critical to obtaining a return on investment to liming. In western Minnesota, suggested lime rates to get to the same soil pH are less than in eastern Minnesota due to carbonate layers being close to the soil surface. Knowing what area of the state you are in, Area 1 or 2, is important when determining lime requirements in Minnesota.